The Finance & Markets Global Practice aims to help countries build deep, diversified, inclusive, efficient and stable financial systems, which are essential to promoting economic growth and reducing poverty and increasing shared prosperity. The practice is committed to delivering public and private sector tailored solutions to development challenges by leveraging the whole range of the Bank Group's financial, knowledge/advisory and convening services for clients. In doing so, the practice not only partners with the broader World Bank finance team (IFC, WB, MIGA and WB/IFC Treasuries) but also acts as an enabler for all other GPs and Cross-Cutting Groups. As a joint World Bank-IFC practice, the Finance & Markets Practice brings together the World Bank's knowledge, finance (loans, credits, guarantees, risk management products), and convening services, and IFC advisory in private-sector firms into a single suite of development solutions for our clients and the global community to support reaching the twin goals of eliminating extreme poverty and promoting shared prosperity. Led by a Senior Director and two Directors, the practice has a cadre of 15 Practice Managers who oversee its regional teams and global solutions groups, and CGAP, which has a dedicated Director. Thematically, the practice is organized into three Global Solutions Teams. The first group’s activities are aimed at strengthening the foundations of stable financial systems and markets by supporting global financial sector oversight frameworks and policies; strengthening banking regulation and restructuring regimes; improving financial sector integrity efforts and deepening capital markets, insurance, pensions and investment funds; the second Improving financial infrastructure and access through its work on credit infrastructures; payment and market infrastructures; responsible financial access: and SME finance, and the third on partnering with other practices on frontier development finance initiatives such as climate change finance, disaster risk finance and insurance, infrastructure finance, agriculture finance and housing finance. Sub-Saharan Africa, with a population of over 700 million people in 47 countries, is home to 34 of the world’s poorest countries. Making headway against poverty in sub-Saharan Africa continues to present the world’s most formidable developmental challenge. The Africa Region’s Finance and Markets Global Practice is responsible for providing operational support and technical advice to AFR clients on a broad range of financial sector issues. The Unit has over 30 staff covering a span of 47 countries and 12 country directorates. The Financial Sector Specialists in the department have region-wide responsibility for providing technical advice and operational support to sub-Saharan country departments and their client countries. In carrying out its mandate, the unit collaborates closely with regional staff working in other Global Practices and with other parts of the Bank Group, including the IMF, IFC, MIGA and WBI. In line with the Africa region’s objective to facilitate the implementation of the Paris Declaration, the unit has an established track record in working in partnership with other development partners including Germany, DFID, AFD, AfDB, SECO, SIDA and others. The Tanzania Country Partnership Framework, currently under preparation, aims to support implementation of the Tanzania Five Year Development Plan II to create jobs, build human capital and enhance shared prosperity. The Country Partnership Framework is structured around three strategic focus areas: enhancing productivity and accelerating equitable and sustainable growth; boosting human capital and social inclusion; and supporting modernization and efficiency of public institutions. The WBG will provide support for activities that boost productivity, increase private sector-led growth and job creation (especially for youth), promote gender inclusion, land administration and natural resource management, increase service delivery with a focus on quality, and strengthen governance and public institutions. It will also support greater investment in secondary cities and transport corridors to link rural areas to urban centers, create market access for farmers and employment opportunities. Finance and Markets (F&M) Global Practice will play a key role in delivering the Country Partnership Framework, by providing implementation support for the ongoing activities under the F&M Global Practice, preparing a new financial inclusion project and more importantly working across Global Practices to achieve the twin goals of the World Bank Group of ending poverty and boosting shared prosperity. The position will provide operational and analytical support to the Finance and Markets Global Practice (F&M GP) team working on Tanzania. • Financial Stability and Integrity: Support teams working on financial sector regulation and oversight. • Financial Infrastructure and Access: Support teams working on strengthening credit infrastructure such as movable collateral registry and credit reporting, responsible financial inclusion, access to finance for small and medium enterprise finance, financial literacy. • Financing for Development: Support teams focusing on initiatives such as housing finance, agricultural finance, insurance, pensions, private equity, and capital markets. The candidate will support the F&M GP’s team in managing the current financial sector program in Tanzania (including the preparation of a new Financial Inclusion Project and the implementation support of ongoing operations on housing finance and access to finance for private sector competitiveness) and will also help the team to expand the program into new relevant areas by working closely with other GPs and Development Partners. i) Project management (project preparation and project supervision): For tasks where project management responsibility is assigned in whole or part to F&M: carry out necessary project preparation and supervision activities, this includes technical inputs on to F&M issues, as well as close attention to financial management, procurement and safeguards (social and environmental). ii) Advisory Services and Analytics: Contribute to advisory and analytical work undertaken by F&M, such as sectorial assessments (e.g. banking, microfinance, capital markets), impact assessments, surveys, stakeholder analysis and other technical analyses, as required. 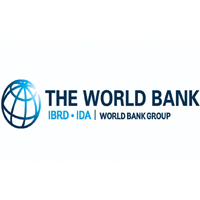 iii) General technical support to the World Bank Tanzania office: Provide technical F&M inputs to the country level strategic policy dialogue (including Systematic Country Diagnostic and Country Partnership Framework), cross-support to relevant components in operations managed by other GPs (investment operations or development policy grants) and in multi-sectoral advisory and analytical work. iv) Dialogue Coordination: Maintain close liaison with key Government counterparts involved in financial sector issues. v) Donor Coordination: Maintain close liaison with the development partners such as Japan International Cooperation Agency (JICA), African Development Bank (AfDB), United Kingdom Department for International Development (DFID), United States Agency for International Development (USAID), United Nations (UN), and consult with them for seeking inputs on Finance and Markets Issues. • Financial sector experience, either in the private sector or from a regulatory/policy/development perspective. • Proven ability in conceptualizing and developing high quality technical and analytical work related to financial sector topics. Client Orientation - Maintains client relationships in the face of conflicting demands or directions and provides evidence-based advice and solutions based on sound diagnosis and knowledge. Drive for Results - Identifies the needed resources to accomplish results involving multiple stakeholders and finds solutions to obstacles affecting key deliverables. Teamwork (Collaboration) and Inclusion – Plays a strong role in teams in ensuring the team stays organized and focused, and actively seeks and considers diverse ideas and approaches. Knowledge, Learning and Communication – Is active in the sharing of best practice, trends, knowledge and lessons learned across units and with clients and partners, articulating ideas verbally and in writing in a clear and compelling way across audiences of varied levels.